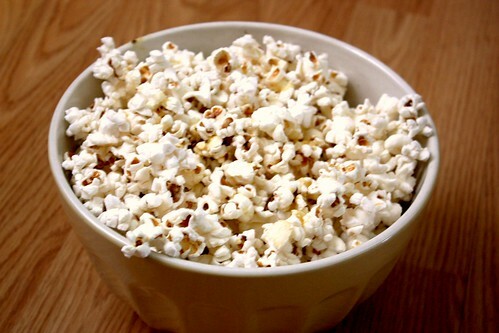 Popcorn has always been one of my favourite snacks, but I don’t have a microwave and I burnt out my air popper. 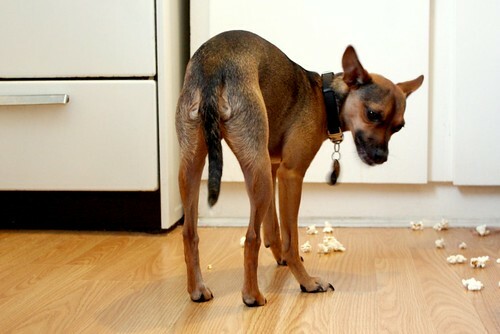 I decided it was about time for me to learn how to make popcorn using the old stovetop method. My aunt has been making it like this for years and I’ve always liked they way she did it. Its not only easy to make, but you can control the amount of oil and toppings that you use. 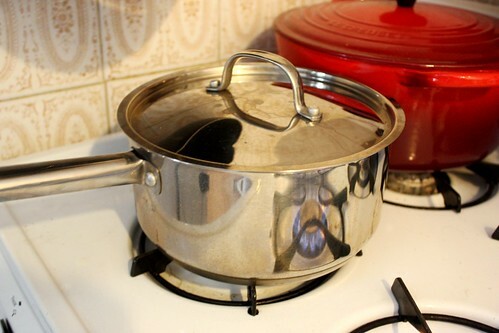 In a large saucepan, heat the oil on medium heat. 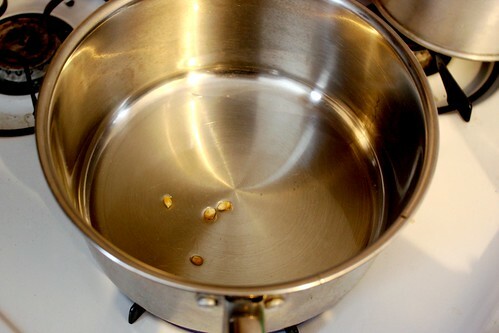 Put 3-4 popcorn kernels into the oil and cover the pot. 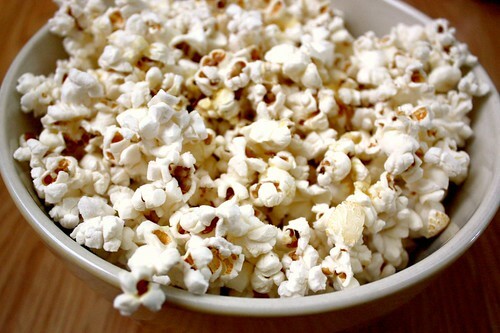 When you hear the kernels pop, add in the remaining popcorn kernels. If you want to add in salt, do it now. Cover and remove from heat for 30 seconds. This brings all the kernels to a near-popping temperature so they’ll all start to pop around the same time, ensuring that you get the most kernels popped. Return the pot to the heat and the kernels will start popping. 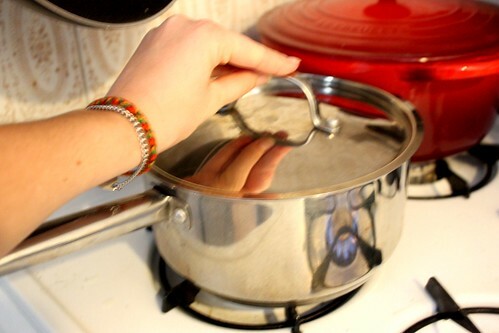 Holding your hand on the lid, gently shaking the pot back and forth over the burner. Hold the lid slightly ajar to allow steam to escape. Once the popping starts slowing down to several seconds between pops, you can removed the pot from the heat and dump into a wide bowl. 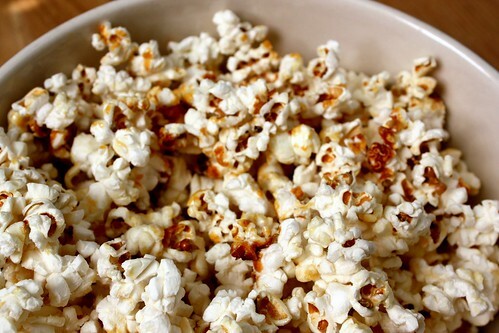 If you’re adding butter or margarine, you can melt it in the empty hot pan and then drizzle over the popcorn. Add more salt if needed. There are lots of other great toppings that you can add such as grated Parmesan cheese, olive oil with thyme and sea salt, chili pepper, nutritional yeast, curry powder or even cinnamon and chocolate chips! You can even make this into Kettle Corn by stirring in a 1/4 cup of sugar in with the kernels before you cover it for 30 seconds. Continue with the remaining steps and then add salt to taste at the end. YUM! The Man loves kettle corn, so I always get a bag for him when I go to the fair.